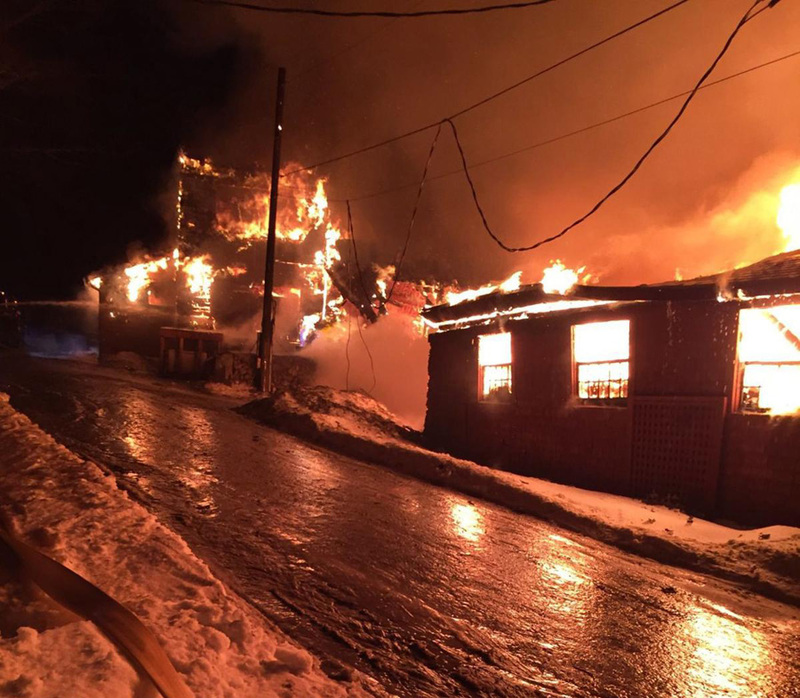 A devastating fire at The Rocks on the evening of Wednesday February 13, 2019, destroyed two century-old historic structures on the property, which was listed on the National Register of Historic Places in 1984. 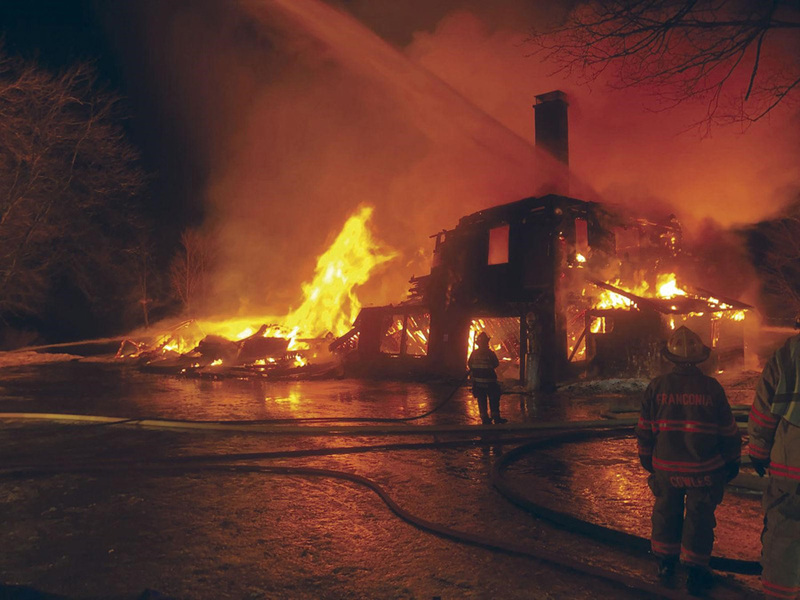 No one was injured in the fire, and the nearby home of long-time property manager Nigel Manley, escaped damage. The Rocks, located in Bethlehem, New Hampshire, was the summer estate and working farm of the Glessner family for several generations and since 1978 has been owned and operated by The Society for the Protection of New Hampshire Forests (SPNHF). The two structures destroyed were historically known as the Tool Building and the Electric Plant. The Tool Building served as the North Country Conservation and Education Center for SPNHF, and housed staff offices and a large multi-purpose room used for programs and events. 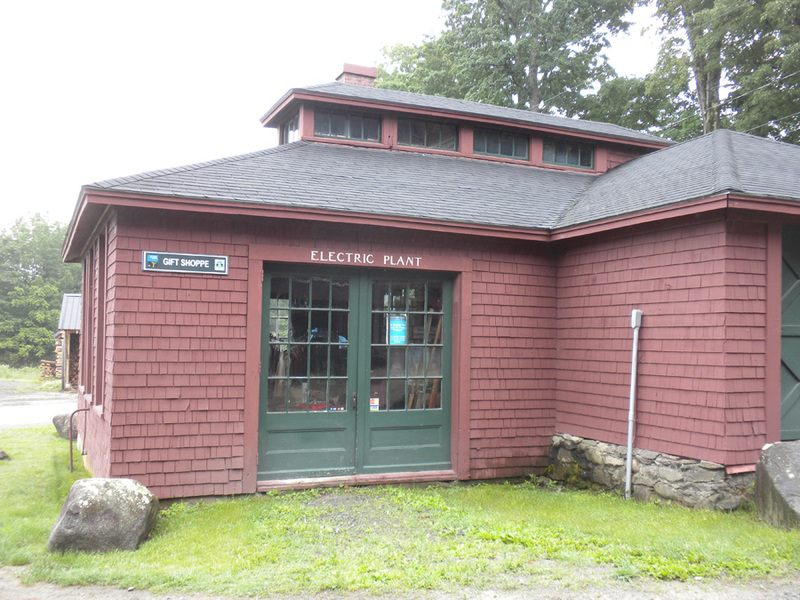 The Electric Plant functioned as a gift shop. The Tool Building was built to house a variety of power-driven machines used in the production and repair of equipment for the estate. 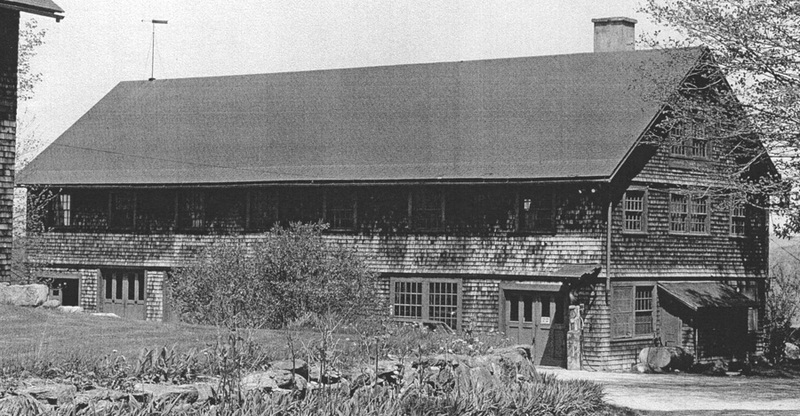 The large, gable-roofed structure was two stories high on the west front, and three stories on the rear. It was clad in wood shingles which were stained a dark red, like other buildings on the estate. An L-shaped wing on the north side of the building functioned primarily as an ice house. On September 12, 1903, Frances Glessner noted in her journal, “we commenced work on the new tool building.” Work proceeded rapidly, as she noted on October 3rd, “we gave the annual dinner to the men on the place. The table was set in the new tool building.” Later that week the exterior was shingled. “Friday evening, we gave a party to the working people in the Tool building. We took everything out and made a little stage. We hung branches of evergreen in among the iron strips and put two large vases of sun flowers and asparagus fern on each side of the stage. We took lamps down and put one on each side of the stage and put hanging chimes around from the ceiling. We asked our people and their wives – and many who have been connected with the place, and many of the neighbors. In June 1907, Frances Glessner noted “we commenced to build the addition to the tool building.” That addition, consisting of one additional bay located at the south end of the building, was constructed to provide a blacksmith shop (used in recent years by a Glessner descendant). The upper floor contained a fully equipped woodworking shop with a variety of early equipment, originally belt-driven from a central power source. A gas pump was installed outside to provide fuel for farm vehicles. The Electric Plant stood immediately to the east of the Tool Building and was constructed to house the original power plant for the estate. Laid out on a T-plan, the plant was a low hip-roofed frame structure with a clerestory at the central roof ridge. It was clad in the same dark red-stained wood shingles. By August 21st, “the electric and power building is completed except the chimney and the “help” in our different houses have asked for a dance there next Thursday” (which did take place). Electric was apparently fully functional by September 18th when the first electric lamp was lighted at the Big House (the Glessners’ residence) as an experiment. After John Glessner’s death in January 1936, the estate, which had grown to 1,500 acres, was divided equally between his daughter, Frances Glessner Lee, and his daughter-in-law, Alice Hamlin Glessner. Following Alice’s death, Lee reassembled the estate and continued to operate it as a farm until her death in January 1962. (Her tax returns each year listed her occupation as “farmer.”). 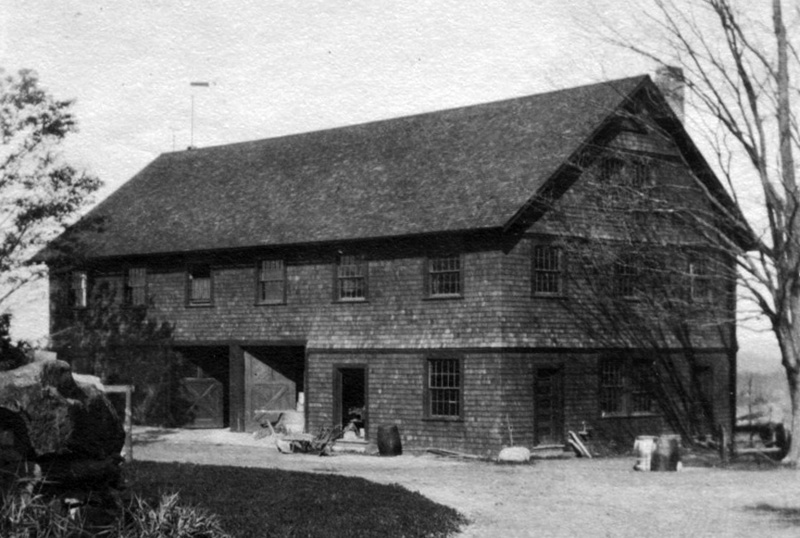 Lee’s children, John Glessner Lee and Martha Lee Batchelder continued operations of the farm until 1978 when the property was donated to the Society for the Protection of New Hampshire Forests, of which their grandfather, John J. Glessner, was an early member. A stipulation of the gift was that there always be a crop in the field. The Forest Society noted, “for more than three decades, that crop has been Christmas trees, and people come to The Rocks from near and far each year to find their perfect tree.” (Continuing a tradition begun by the Glessners in the 1880s, Glessner House acquires its Christmas tree each year from The Rocks).